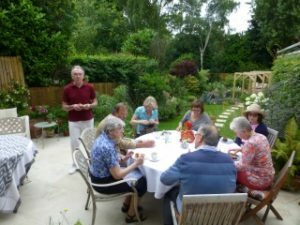 Sawako Allison of Kingston raised over £200 by holding a coffee and cake garden afternoon, which included a raffle. A number of familiar local faces were in attendance, as well as some new ones in the shape of Sawako’s friends and neighbours. We are extremely grateful to Sawako for her continued efforts raising much-needed funds.